Are you celebrating a “First Day of Spring” marriage proposal? If you said “yes” on March 20, the official “National Proposal Day,” then you’re likely still walking on sunshine and enjoying engagement bliss. Last week we debuted some gorgeous new Coast Diamond wedding bands on our Facebook page for brides-to-be who are now full-speed-ahead with wedding plans. These four unique diamond band styles offer a wonderful look for every bride. 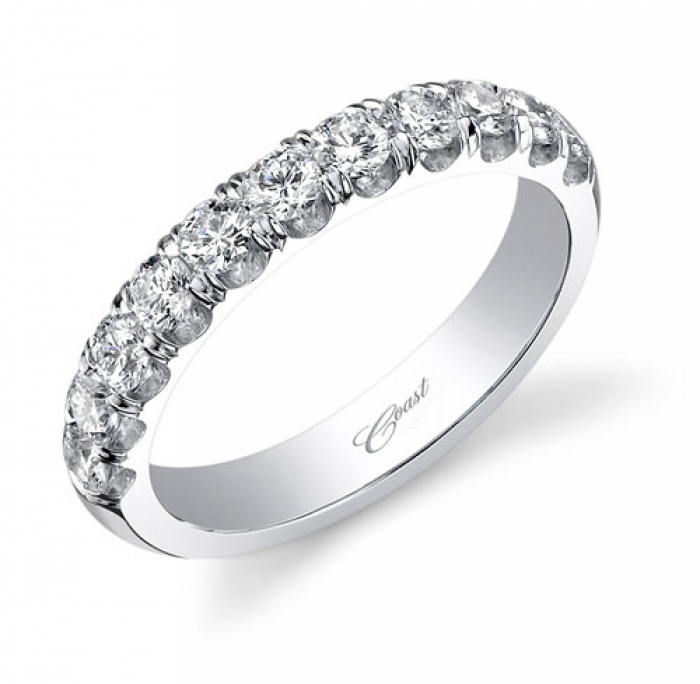 A wedding band with a twist has two lovely intertwining rows, one with diamonds and one a bold metal. Another option is an open weave of diamonds set in platinum, a romantic play on the infinity symbol which is an ideal way to express your love. There is a regal diamond band that alludes to a crown that a princess would wear, and also a very brilliant traditional diamond eternity band that will be perfect with your Coast Diamond engagement ring. 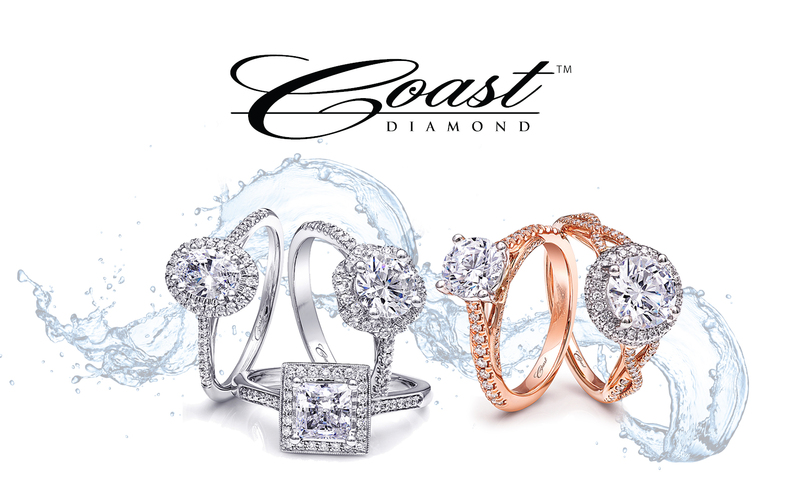 Most Coast Diamond wedding rings can be ordered in platinum, white gold, yellow gold or rose gold, and are available at your local Coast Diamond Authorized Dealer. 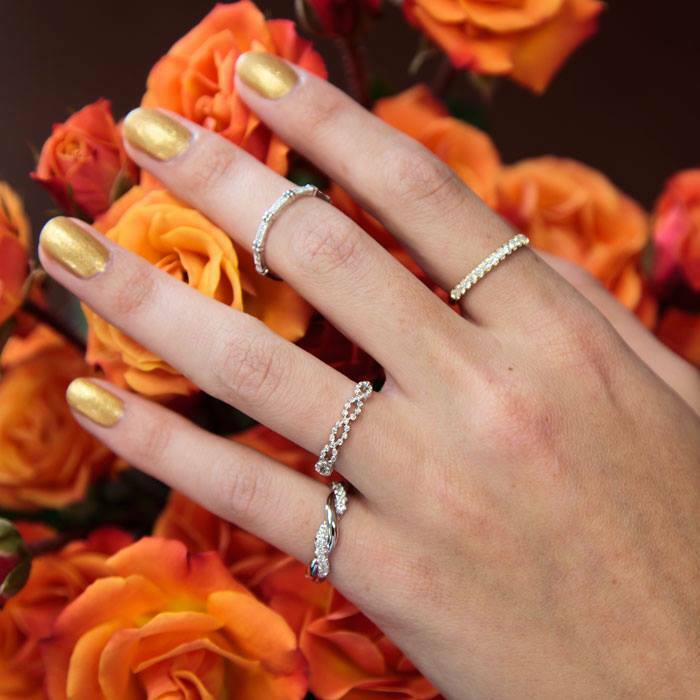 Search our collection of beautiful diamond wedding rings now, then visit your favorite jewelry store to try them all on and select your favorite ring! How many of the Coast Diamond stackable wedding bands below would you consider ideal accompaniments to wear with or without your engagement ring? Consider accenting a simple solitaire with two rose gold and diamond bands, or celebrate a Christmas or July wedding anniversary with a pair of ruby and diamond stackable bands. Gemstone stackable rings make fantastic “push gifts” to commemorate the birth or adoption of a child, and simple diamond bands in unique square and diamond shaped-settings are perfect symbols to say “I do” with on your wedding day. Find these are other stunning stackable wedding rings at your local Coast Diamond Authorized Dealer, or click here to search at CoastDiamond.com. Looking for the perfect wedding band to wear next to your diamond solitaire? This Coast Diamond ring is it. You’ll love the uniqueness of this ring’s alternating diamond and circle “hug” shapes – with a round brilliant diamond sitting in the center of each segment – and the detailed milgrain edging. Brides adore this diamond wedding band so much they often buy two and wear one above and below their solitaire as a “wrap.” It also looks stunning worn as a single statement of love on your left ring finger, or on the right hand as an anniversary ring. If you have a hunch that this Christmas will include a surprise proposal from your special someone, we suggest you start letting him know what ring you really want now, so he has plenty of time to place the order with your local jeweler. We think you’ll love this stunning Coast Diamond engagement ring: an exquisite halo setting for a 1.5 carat center diamond with a triple-split shank encrusted in diamonds. That’s three sparkling rows of diamonds leading up the brilliant round diamond. What a wonderful way to “ring” in the new year! If this is the wedding ring set of your dreams, forward this blog post to your boyfriend, or have him ask for Coast Diamond engagement ring LC10118 and wedding band WC10118 at your local Coast Diamond Authorized Dealer.